Tuesdays and Thursdays June 4th, 6th, 11th, and 13th, 9 AM till 2 PM. 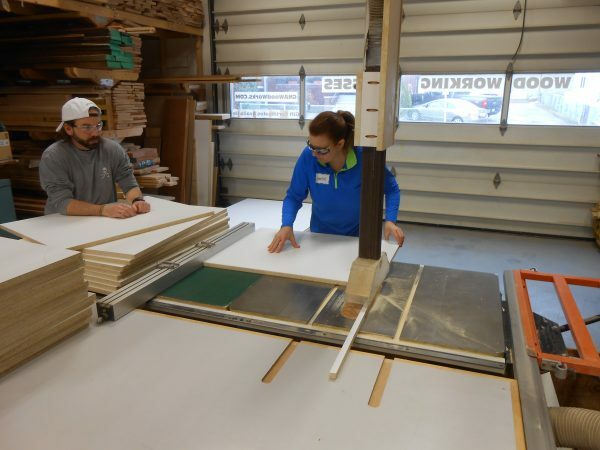 This is an introductory class for the making of cabinets and built-ins. If you are unsure of your table saw skills, this class will help you gain skill and confidence. Students will learn to safely and accurately cut square sheet good parts on the table saw. Using Melamine and T-mould edging, the students, as a group, will construct simple, strong cabinets with adjustable shelves. Then they will build drawer boxes, drawer faces and hang doors with European hinges. I call these “institutional” cabinets. Besides hospitals and commercial places, they are useful in a basement, garage, laundry room, shop or as children’s furniture. Power tools and hand tools are available at the shop. No tools or materials needed . An introduction to the basic principles of cabinetmaking including table saw and router use.